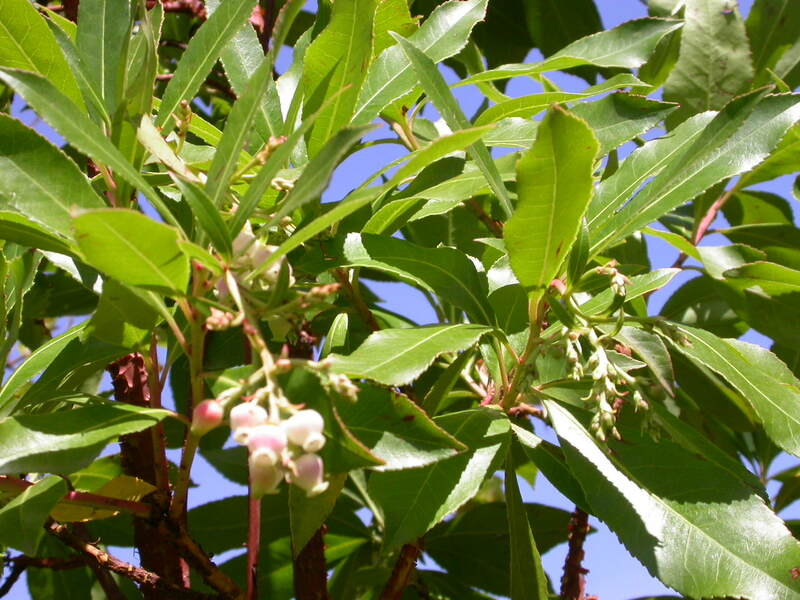 This tree has bold foliage to 15cm long, and large upright pannicles of white bell shaped flowers throughout the year, followed by red strawberry like fruit. 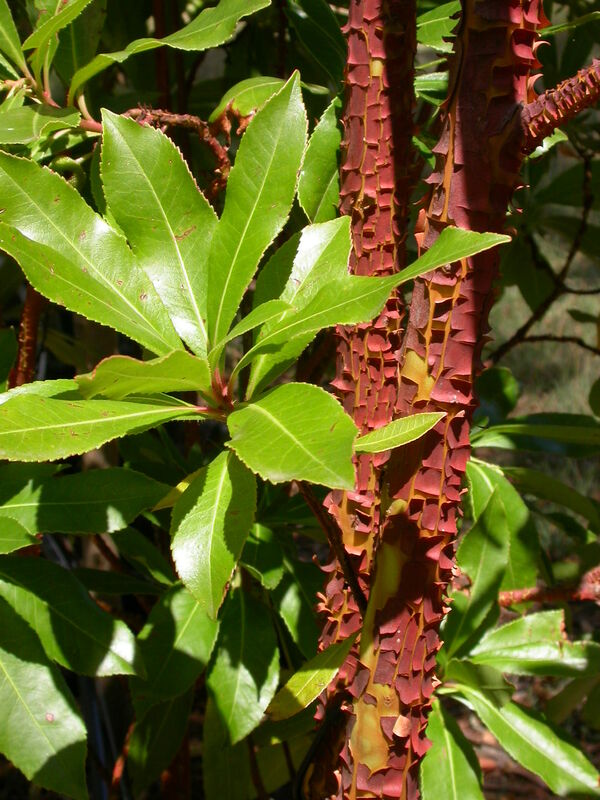 The bark is also a feature being dark orange in most seasons, but with extreme heat and sun it can become a mid-purple. 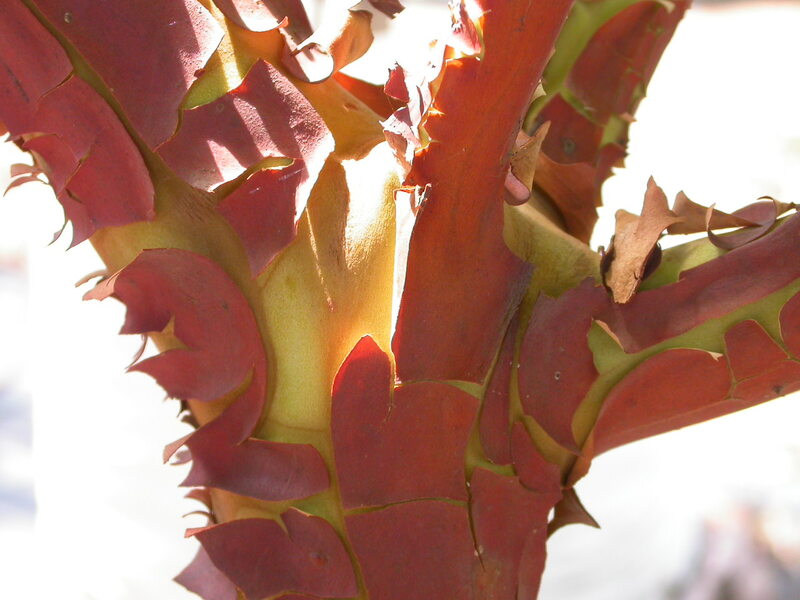 Like gum trees the bark is smooth and sheds annually. Wind and heat tolerant, but would prefer weekly to fortnightly irrigation.